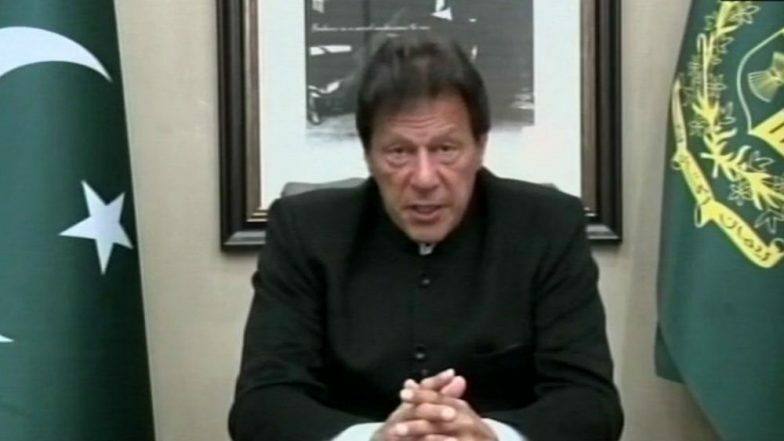 Islamabad, March 24: Pakistan Prime Minister Imran Khan has ordered a probe into reports of abduction, forced conversion and underage marriages of two teenage Hindu girls in Sindh province and to take immediate steps for their recovery, Information Minister Fawad Chaudhry said on Sunday. On Saturday, Chaudhry said that the government had taken notice of reports of the forced conversion and underage marriages of the two girls. The Hindu community in Pakistan has carried out massive demonstrations calling for strict action to be taken against those responsible, while reminding Prime Minister Khan of his promises to the minorities of the country. A Pakistan Muslim League-Functional MPA Nand Kumar Goklani, who had initially moved a bill against forced conversions, urged the government to get the law passed immediately. Hindus form the biggest minority community in Pakistan. According to official estimates, 75 lakh Hindus live in Pakistan. However, according to the community, over 90 lakh Hindus are living in the country. Majority of Pakistan's Hindu population is settled in Sindh province where they share culture, traditions and language with their Muslim fellows.